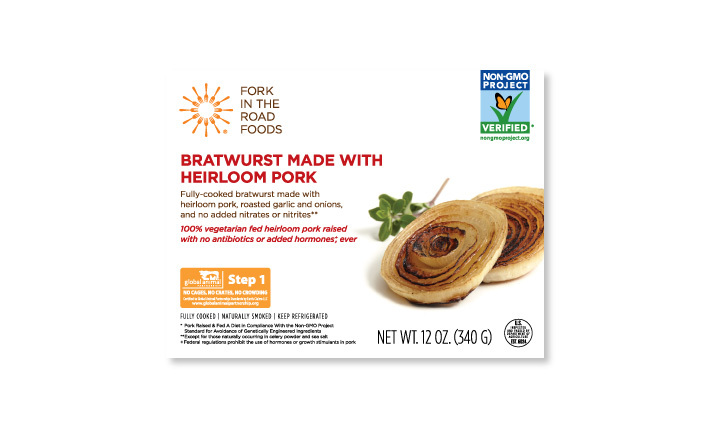 Fully-cooked bratwurst made with heirloom pork, roasted garlic and onions, and no added nitrates or nitrites. Our brats are angels. Really. In a brat-eat-brat world, these brawny links knock it out of the biergarten. Every plump, juicy bite packs a punch of authentic brat-i-ness — full-flavored heirloom pork and aromatic spices. Toss on a hot grill then into a toasted bun. Top with your favorite condiments. 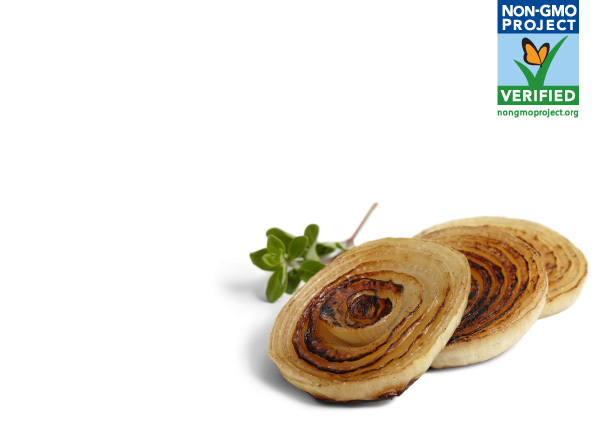 Cut into chunks then sauté with slow cooked onions. Serve with stone ground mustard. Sauté until warm in a little olive oil and serve over sauerkraut. Pork, Water, 2% or Less of: Sea Salt, Evaporated Cane Juice, Spices, Fresh Roasted Garlic, Dried Onion, Garlic Powder, Onion Powder, Sodium Lactate, Celery Powder, In a Natural Pork Casing.